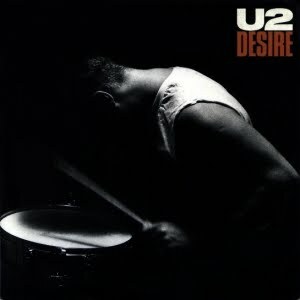 Based on a Bo Didley guitar riff that the Edge managed to capture, Desire was U2's first UK number one. This was the big single off the Rattle and Hum album, the other singles being All I Want is You and Love Comes to Town of which each proved to be classic U2 songs. This was the U2 era when the U2 backlash began. It didn't really matter as the band followed up with the classic Achtung Baby album which cemented the band's place in Rock and Roll history. Rattle and Hum is a classic U2 album and featured the hits When Love Comes To Town the blues ode that is Angel Of Harlem and the lovestruck doom of All I Want Is You.